At One Mega Event 2018, find out how mobile and futuristic technologies, and intelligent mobility in smart cities can tackle gender-based harassment and violence in public spaces. 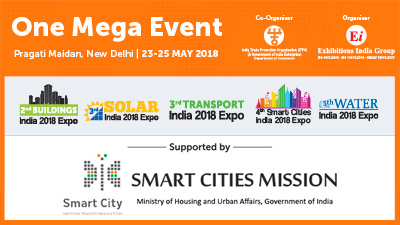 The expo will be held at Pragati Maidan, New Delhi from 23-25 May 2018. New Delhi, 09 May 2018: Since women and girls are subject to the threat of sexual harassment and violence worldwide, this May, One Mega Event 2018 will host a special session titled, Metropolitan strategies to achieve Safe Cities for women and girls: The NUA and SDG as a real opportunity at Pragati Maidan, New Delhi. Though the Government of India is committed to both these agendas, when we take a closer look at how India is putting women at the centre of the nation’s efforts to reduce inequality and injustice of every kind against women, there is a lot more happening. One of the key objectives of the government’s flagship Smart Cities Mission is to promote cities that provide ‘smart’ solutions for safety and security of citizens, particularly women, children and the elderly. The mission opens new windows of opportunity for the Government to spur its goal of restructuring the nation in a gender sensitive manner.